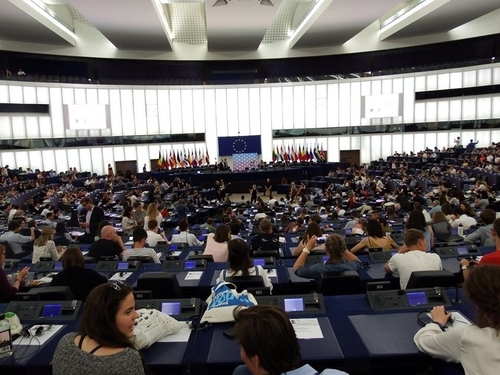 The European Youth Event is an event hosted by the European Parliament with the aim of stimulating active citizenship among young Europeans. The event takes place once in two year basis and it has become a tradition since 2014 when its first edition took place. Ever since the tradition continues and last year – EYE hosted its third edition. EYE is a completely free event for young people from European countries, between 16 and 30 years old, who are interested to know more about the European Union. 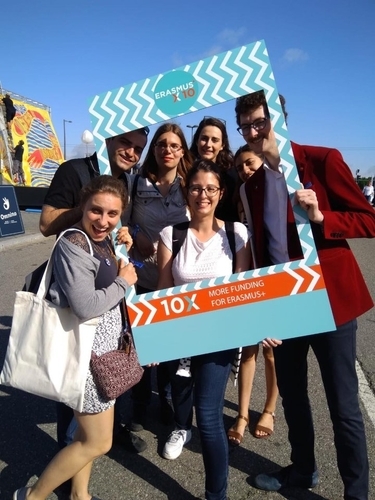 Young people with different interests and backgrounds are encouraged to participate at this event that brings together more than 8,000 people from all over Europe and beyond. The main goal of EYE is to allow young people to learn, generate ideas and discuss relevant issues in our societies. 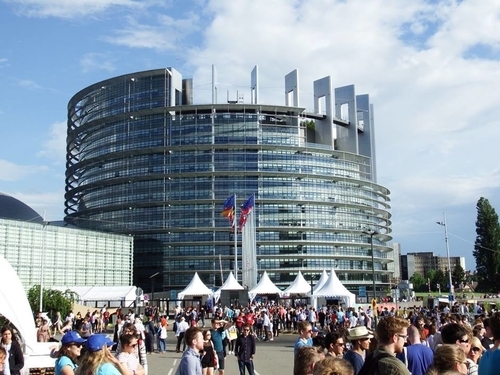 The EYE program is made up of about 170 speakers, 40 MEPs and more than 300 activities with relevant figures and organizations, all in the European Parliament in Strasbourg between 1 and 2 June. In addition, the program is open to anyone who has an idea and wants to put it on stage: both artistic shows and workshops of different themes, as it already happens during each edition. The amount of activities, workshops and performances offered was enormous so the participants have the possibility to select the activities they want to attend among a wide array of topics and workshops offered. Some of the topics covered issues related to education, the refugee crisis, gender equality, globalization, the G8 in 2030 and the Sustainable Development Goals. 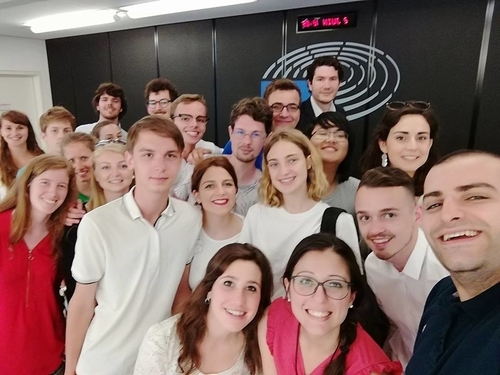 The activities offered to participate varied from the chance to experience a role play as members of the European Parliament, to learning more about the European Solidarity Corps or rather engage yourself in some relaxing yoga activities. There were also a lot of discussion going on related to the European Union budget, the future of Europe, populism, EU - Turkey relations or the expectations on how Erasmus + is likely to be from 2020. One of the major topics discussed was the climate change where the participants had the chance to become aware of its consequences at global level and come up with alternative ideas on how to tackle this problem. Of course, BETA Europe had the chance to participate in EYE. 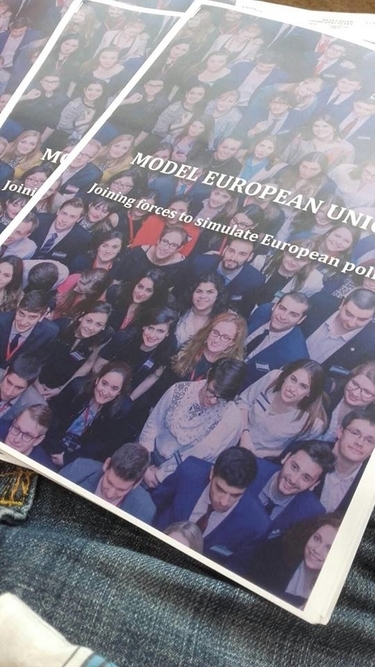 We had the privilege of organizing a workshop entitled “Model European Union: joining forces to simulate European politics”, where 20 young persons were given the opportunity to learn how to set up their own MEU conference and get expert advice from experienced organisers. One of the most highlighted events within the the European Youth Event, was the return of Yo!Fest which celebrated its tenth anniversary. Yo! Fest is an event organized by the European Youth Forum that emerged with the purpose of mobilizing young people to intervene in public life. During this event, individuals, self-organized movements, grassroots organizations and established networks meet to discuss different issues and seek concrete solutions. The ideas collected throughout the event were sent to the decision-makers. YO! Fest will return to 2019 and the application to become a member is now open! EYE is what the EU needs. Young people are the future of Europe and they need to understand and actively participate in the society. The experience each has gained has been different, but the important thing is that they have taken those experiences to their countries and spread them among the people around them. We wish that EYE will return in 2020 and engage more young people who have to share experiences, ideas and visions shaping the future of Europe, because this is the only way towards building together a stronger Europe for the future.